I have seen teachers work with their students to deeply imagine Viola’s life in The Good Braider. I am posting some of the stories I hear of how students have responded in class projects to the novel. 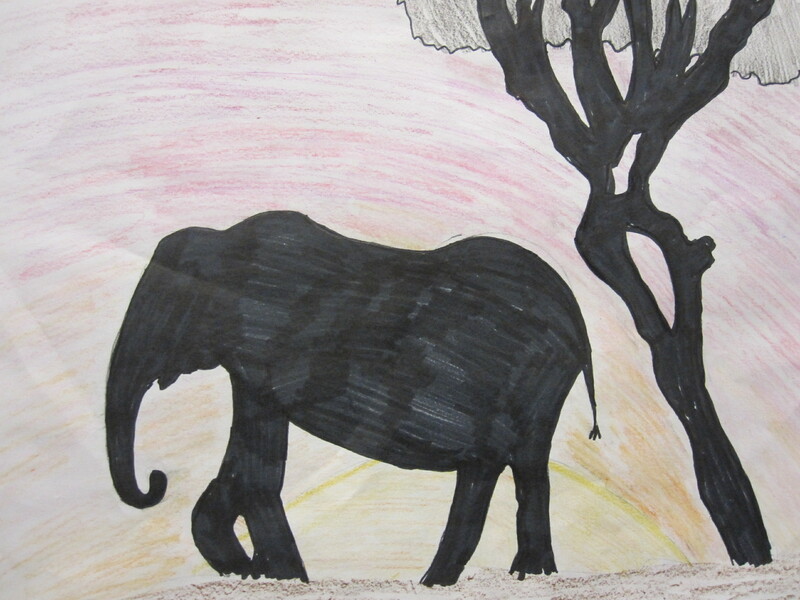 I call this section of student responses “Ubuntu.” Ubuntu is a South African word that refers to human interconnectedness. I exist because we exist. Or as South African Boyd Varty explains, “Our own well being is deeply tied to the well being of others.” Many students have responded in intimate ways to Viola’s story, as if they felt that connection to a young girl from a very different culture. Seventh grade teacher Mary Anker at Berwick Academy in Maine read the novel aloud to all her classes. The students experienced the novel in the oral tradition, and together as a community. The Good Braider was part of their unit on novels, memoir, poems and stories from African countries while students studied Africa in their history class. After reading The Good Braider aloud, Mary assigned each of the three parts of the novel to her three sections of seventh grade. Students were instructed to select a line of text from their section. From the line of text, they wrote in the free verse form the novel is written in. In their poems, they stayed in the point of view of the character and imagined the thoughts and reactions of the character. They crossed borders – gender, nation, culture – in their poems. 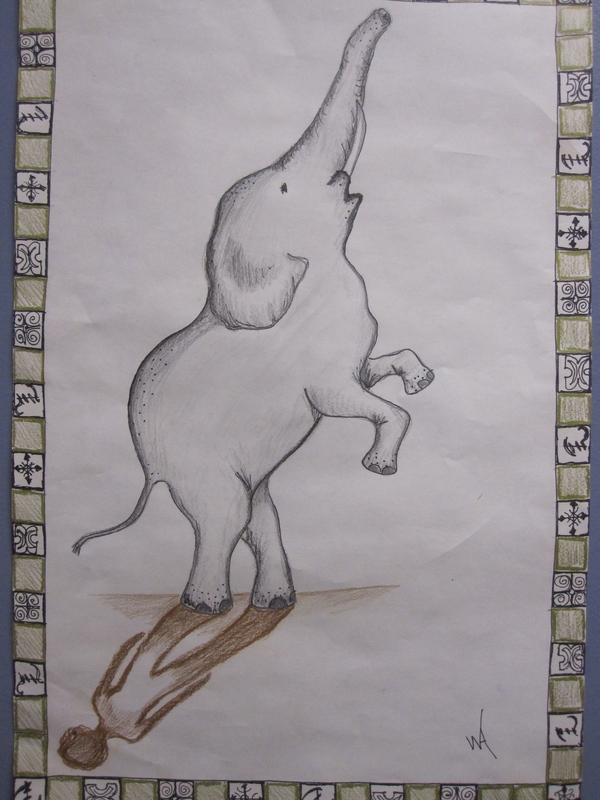 Mary then asked students to draw an elephant, Viola’s amulet in the novel. 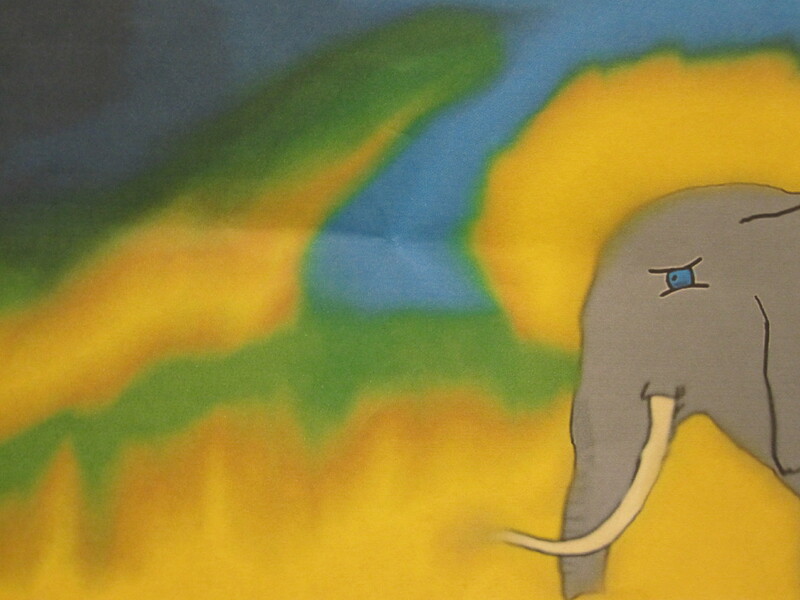 One student captured the deep loyalty of elephants to one another in his poem. Here are some short excerpts of students’ poems. When you call, I’ll answer.